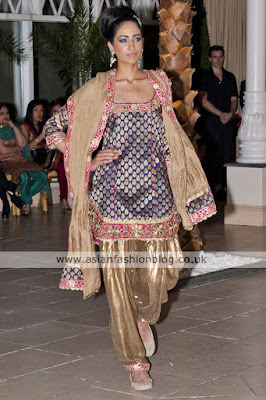 Next up on the catwalk at the Zarah Sra Couture launch event in London were the salwar suits. These outfits were inspired by Zarah's love for Delhi and Punjab culture - Punjaban style salwars in gota, sequins, shorter feminine kameez's in raw silks (great if you're after a change from all long flowing Pakistani-style outfits! 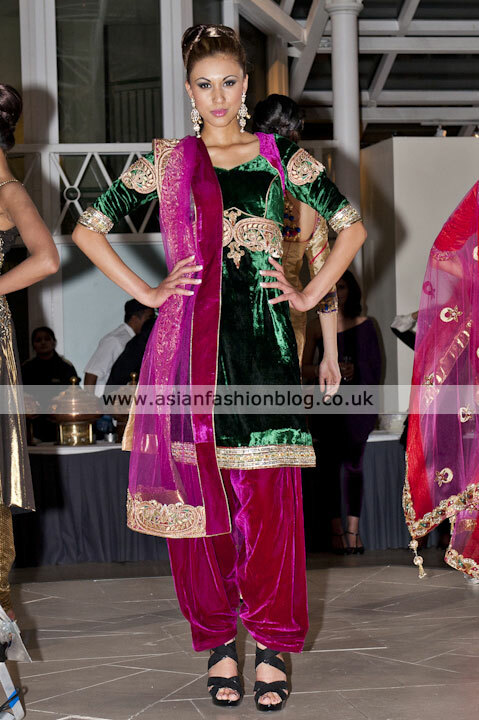 ), velvet with Jodha Akbar influenced patterns and beautiful neck cuts, intricate gold antique borders and embroidery. 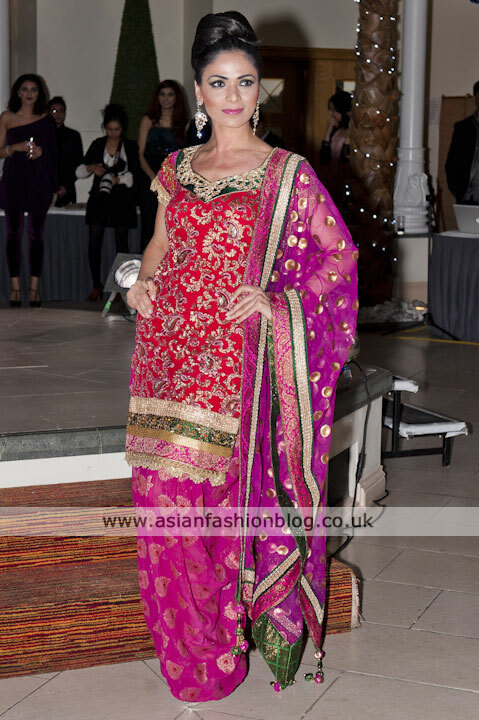 If you like these outfits, make sure you also view the Zarah Sra sari collection which was also showcased at this launch event.